Cabinet locks are available in many forms; disc tumbler locks, or “wafer locks”, as they are sometimes called, are inexpensive and offer a low degree of security. A similar but more secure form is the pin tumbler lock, commonly found in institutional settings, like schools and banks. Another, quite versatile option is cam locks, and while these can sometimes prove reliable, they are only as strong as the nail or screw which holds it in place. Plunger locks, ratchet showcase locks, replacement cams and strikes are also veritable styles of cabinet locks. Cabinet locks can be custom-designed to fit a particular need. They can come in a wide range of materials, sizes and mounting configurations, depending on the requirements of the application. If desired, rollers can also be added to the lock. Cabinet locks typically can come with three different mounting configurations: full mortise, half mortise and the surface mount style lock. “Mortise” indicates the recession in the surface on which the lock is attached. In full mortise cabinet locks, the body of the lock is completely enclosed in the surface of the cabinet or drawer, leaving only the top edge of the lock noticeable. Full mortise locks are often found on better quality pieces of furniture. In half mortise cabinet locks, the lock is, as its name implies, half exposed and mounted into a shallow mortise in the back and edge of the cabinet, lying flush. The top part of the lock is exposed, as well as the back of the lock on the inside of the front wall of the drawer or cabinet. This type of cabinet lock is found almost exclusively on 19th century pieces of American and English furniture. 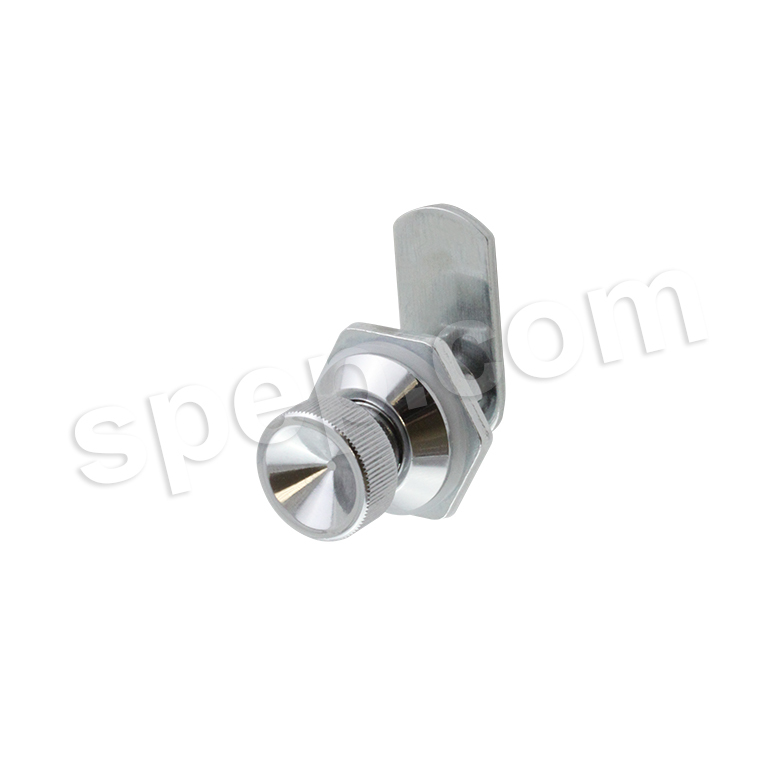 The last and simplest design is the surface mounted cabinet lock. In surface mounted locks, the lock is not inlayed into the surface of the cabinet at all, rather mounted to the interior of the drawer, even with the surface. This style is often found on inexpensive pieces of furniture and is the most common form of replacement locks, as it is the easiest to install. Cabinet Locks Cabinet locks are used to secure cabinets, boxes, chests and drawers of various sizes. They can help keep sensitive materials and documents and valuable items safe in both the office and home. Cabinet locks are easy to use, reliable and very commonly utilized.